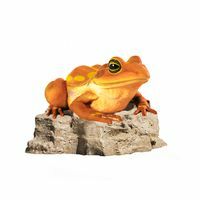 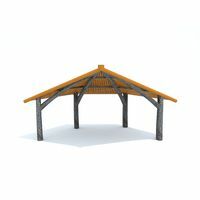 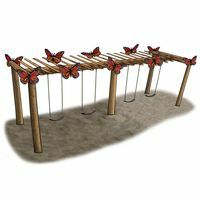 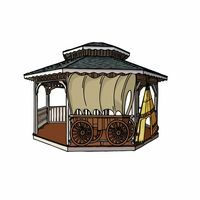 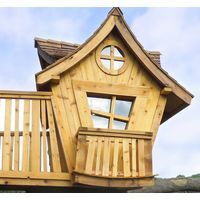 The 4 Kids' Luckenbach Gazebo adds a charming touch of nature wherever it sits, whether a park or playground, or even as part of a commercial or indoor theme park. 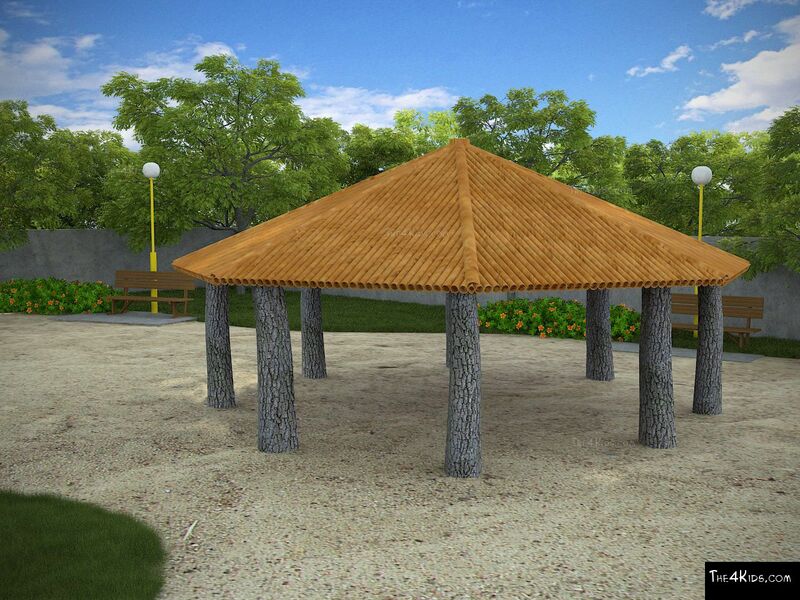 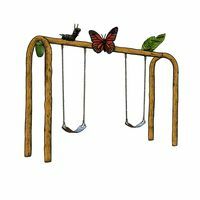 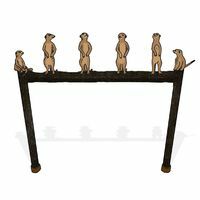 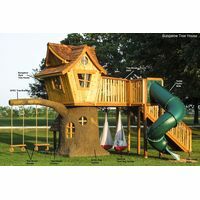 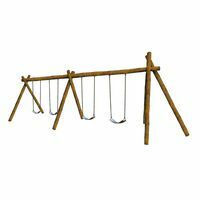 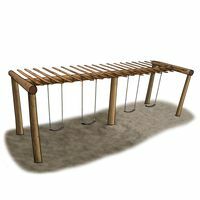 Offering visitors a pleasant, comfortable haven for rest or escape from the weather makes a park more attractive as a playground destination. 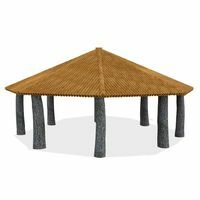 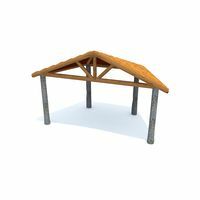 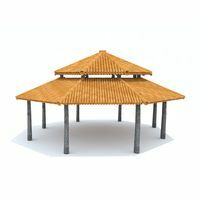 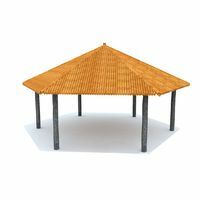 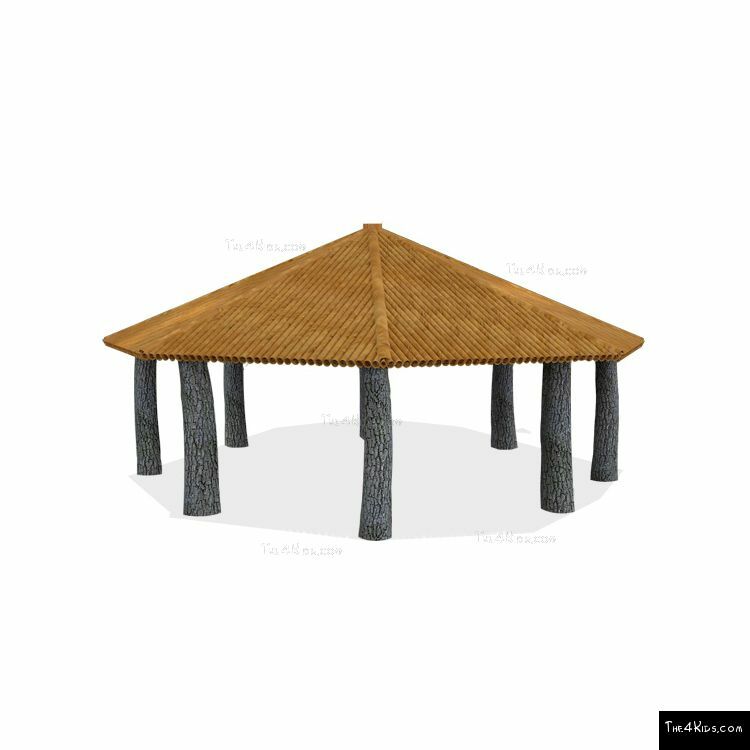 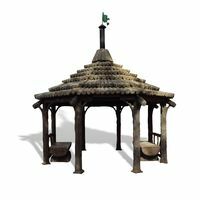 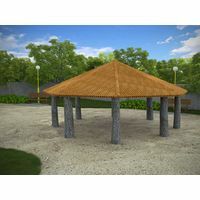 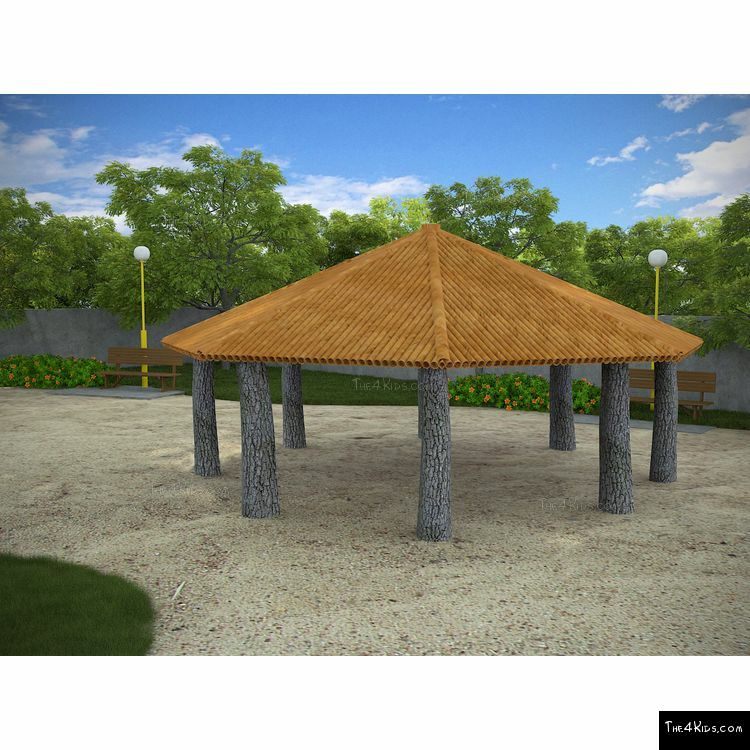 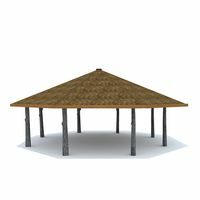 The Luckenbach Gazebo has a fascinating woodsy appeal with tree trunk supports and an amazing bamboo designed octagonal roof. 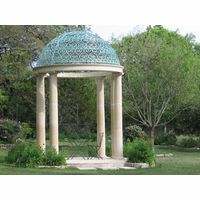 The perfect location for a casual picnic or get together, the Luckenbach offers a stylish, unique addition to any park or recreation area.